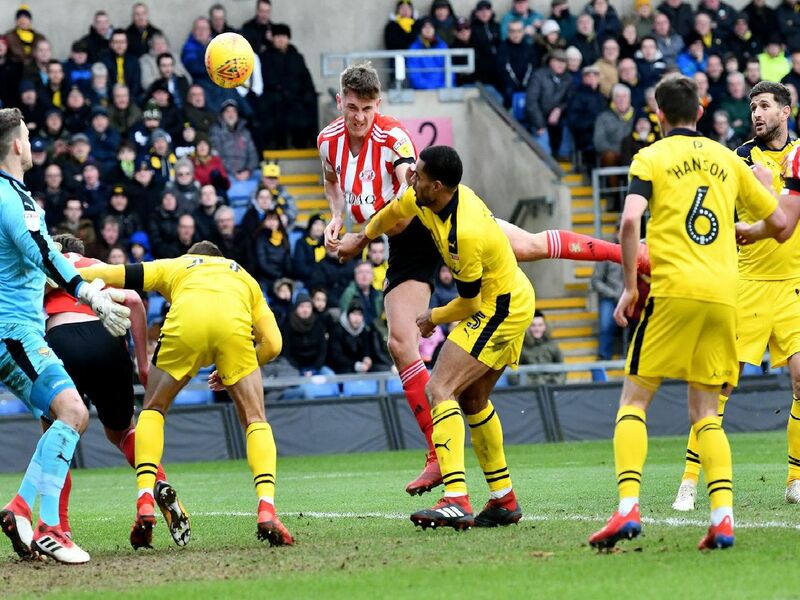 Sunderland let two points slip through their grasp after conceding a late equaliser at Oxford - but how did their promotion rivals fare in League One? Since manager Nathan Jones left for Stoke, Luton have picked up 16 points out of a possible 18 under Mick Harford. A 3-0 win over Wycombe saw the Hatters move six points clear at the top of League One. The towering centre-back scored his first goal for Sunderland after arriving on loan from Burnley last month. Unfortunately it wasnt enough to secure all three points as the Black Cats conceded a late equaliser at Oxford. Barnsley consolidated their position in the top two after a convincing 4-1 win at Gillingham. Woodrow, 24, netted two more goals in the victory and has now scored four times in his last five games. The Blackpool keeper returned from a four-match injury layoff and saved a penalty as the Tangerines beat Walsall 2-0 at Bloomfield Road. Terry McPhillips side are now just four points off the play-offs.